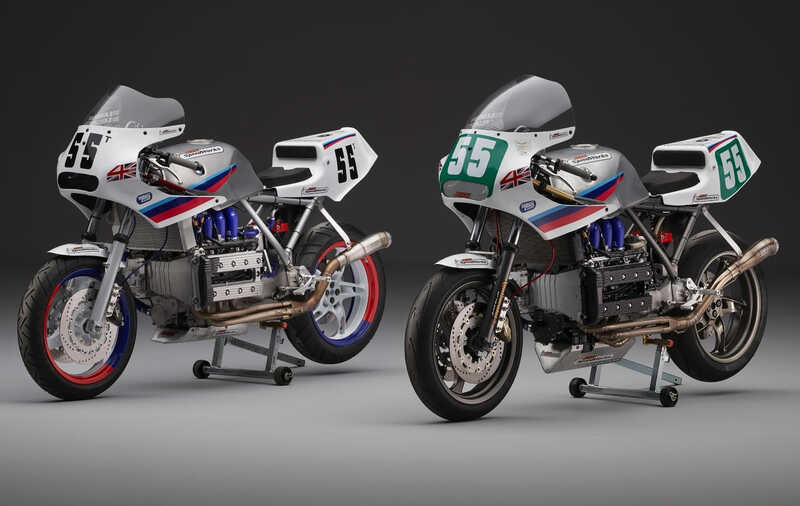 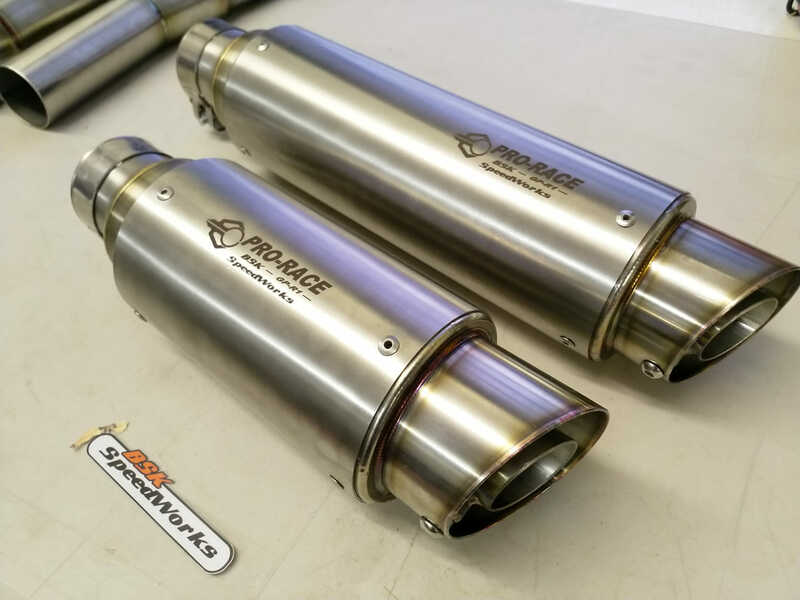 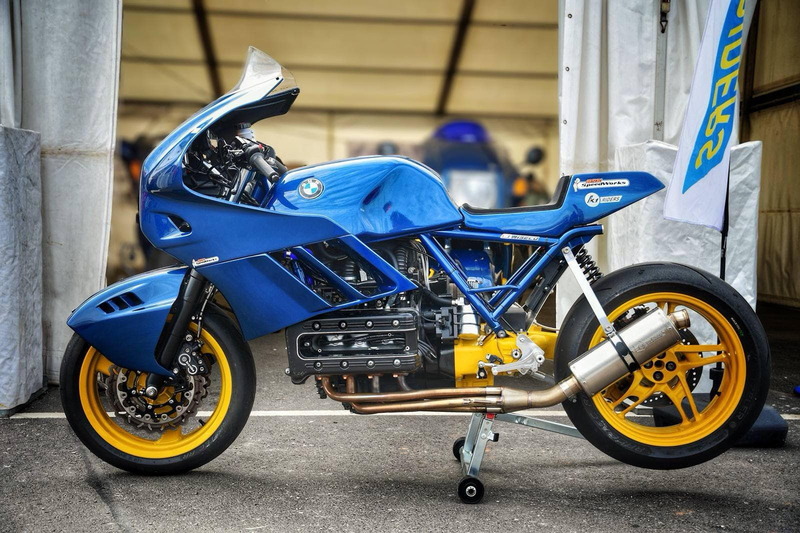 These new Pro-Race Exhausts are made specially for BSK SpeedWorks and are designed for use with our 4-1 Collector for the K100 / K1100 BMW, or with our K75 Link pipe for the K75 BMW. 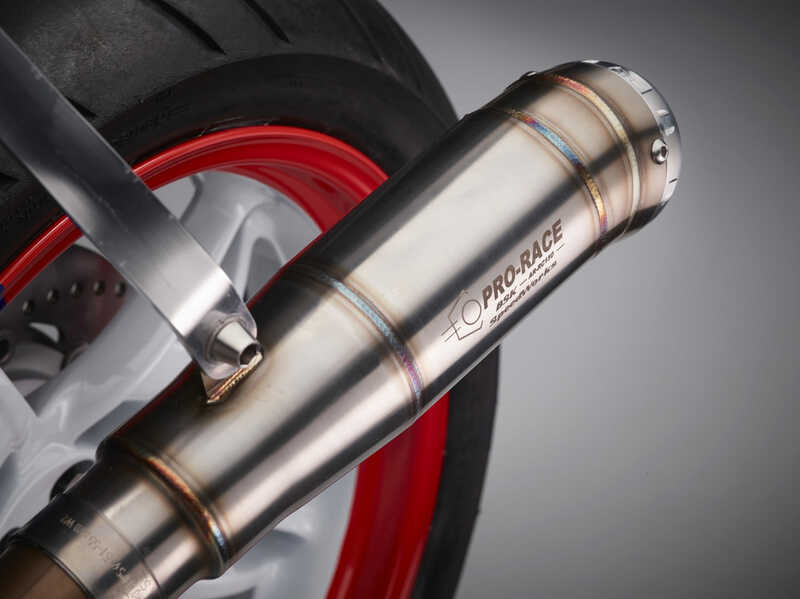 All stainless steel construction detailed shorty exhaust with CNC aluminium billet dome outlet, with pro-race's unique design which also allows these to be easily re-packed when needed. 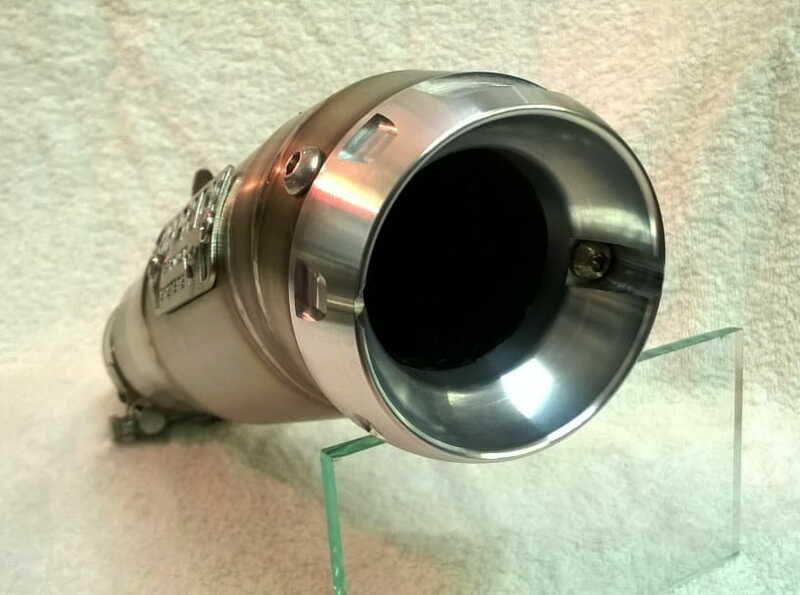 With a 2" (50.8mm) Inlet and a massive 3" outlet, they are supplied with clamp, removable baffle and all necessary fittings. 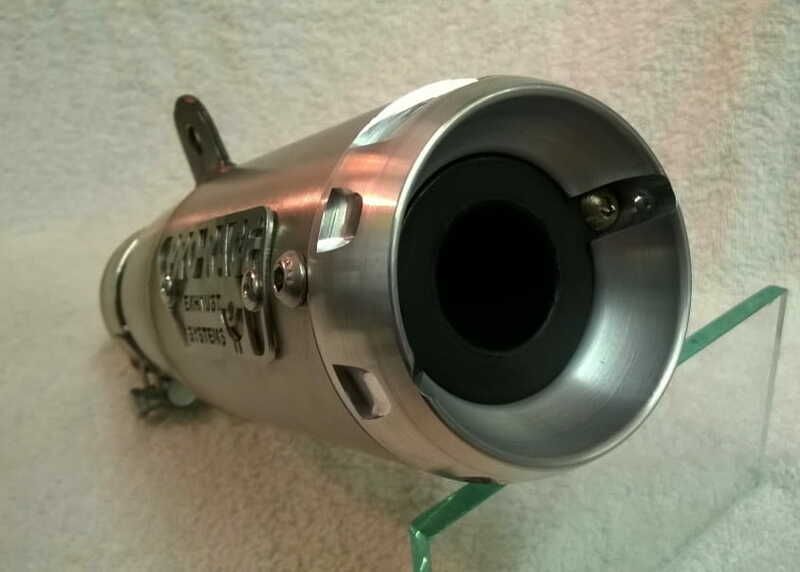 Available with either the straight dome outlet or the longer, angled dome outlet. 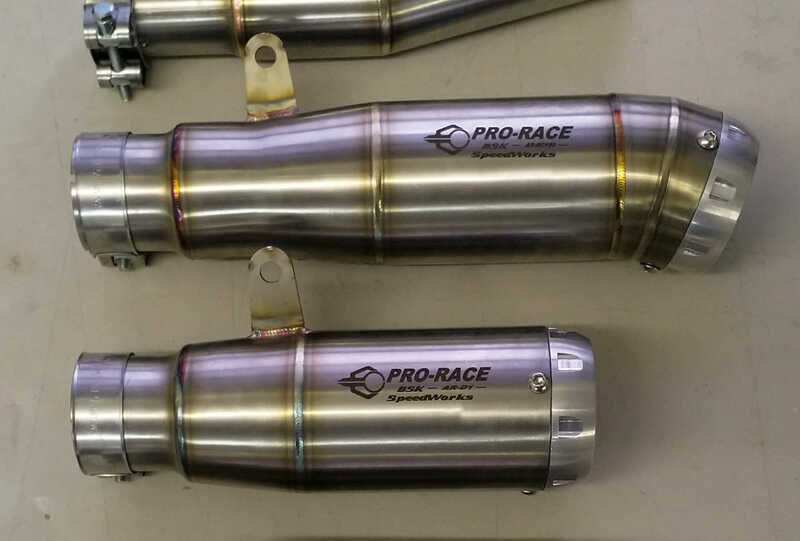 Pro-Race Oval style exhaust also available for race or road. 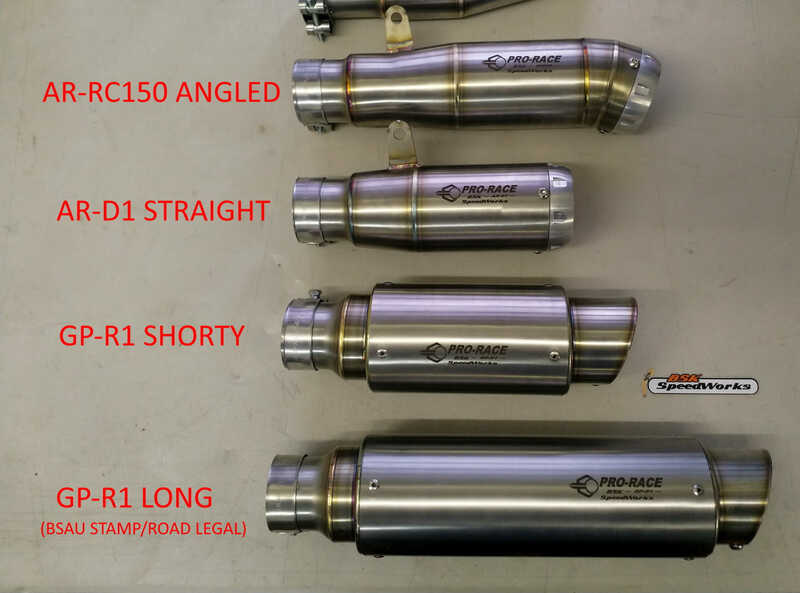 New, light-weight 310mm silencer ideal for race or trackdays or 360mm in U.K. road legal form with BSAU stamp. 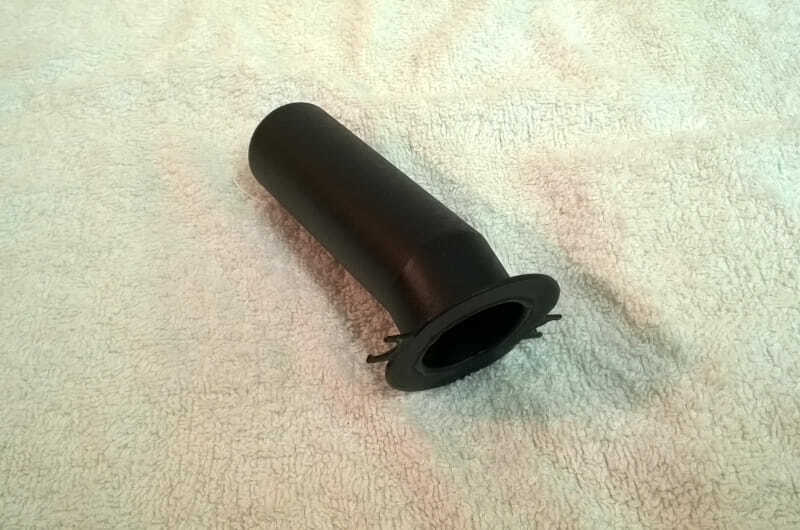 Supplied complete with clamp and hanger strap. 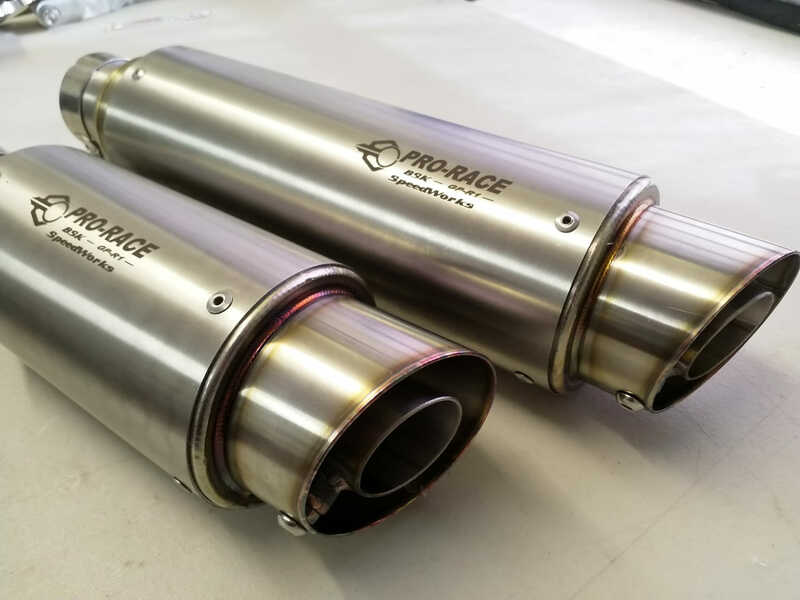 These exhausts are designed for use with our 4-1 Collector or K75 Link pipe, but will fit any 2" exhaust pipe. 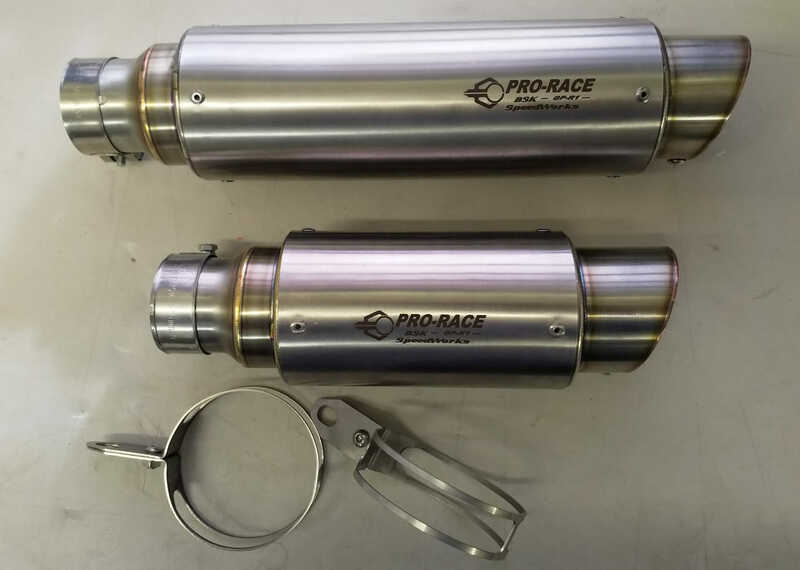 Manufacturer: Pro-Race Exhaust Systems - Made in the U.K.
Exhausts are now supplied with Pro-Race and BSK logo lazer etched rather than rivet badge as shown.